Four years ago, NeighborWorks Waco began offering “Hammers & Heels”, a post-purchase workshop in partnership with local Home Depot locations. NeighborWorks Waco is always looking for new and better ways to build stronger neighborhoods through homeownership, quality rental housing and community-building initiatives, and have worked hard to increase the success and reach of Hammers and Heels. Education workshops are great opportunities to help people become resilient, thriving homeowners, yet post-purchase maintenance and repair is an often overlooked aspect of homeownership. Whether the home is aged or brand new, it requires some degree of maintenance. The lack of skill and knowledge of home maintenance and repair is why NeighborWorks Waco started brainstorming ways to get more homeowners into some form of an “education” class and designed “Hammers & Heels,” a post-purchase workshop. Although aimed at families with women heads-of-household, Hammers & Heels is open to anybody who is interested – men, women, renters or homeowners– no high heels required! In fact, attendees are encouraged to bring along the entire family, as there is something for everyone to learn. 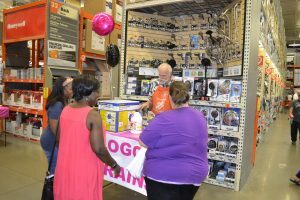 Taking place in three locations of The Home Depot, participants visit 10-15 booths for short, 5-7 minute presentations and hands-on activities to teach them do-it-yourself repairs and maintenance tips: unclogging drains, landscaping, energy efficiency, etc. The Home Depot provides trained employees as instructors. “The expansion of our Hammers and Heels event at our local Home Depots was a great resource for residents in our community to engage in hands on DIY projects,” Delisa Burnell-Smith, Vice President and COO of NeighborWorks Waco, stated, when discussing what Hammers and Heels means for the communities NeighborWorks Waco serves. In addition, NeighborWorks Waco’s staff offers information on financial management after purchasing a home, as well as information regarding the property tax exemptions homeowners may be eligible for. 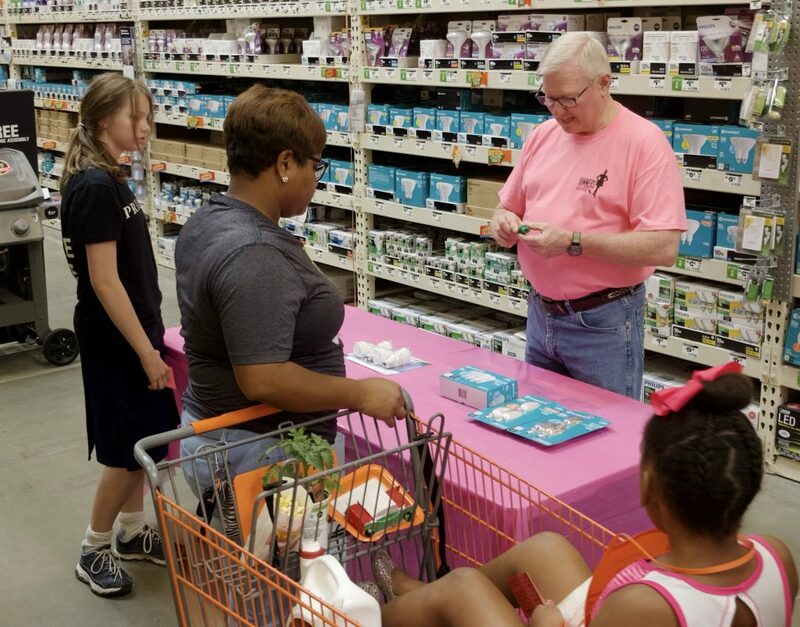 NeighborWorks Waco coordinates each event with The Home Depot to ensure the workshop coincides with the chain’s free, monthly event for kids, where crafts are made and hot dogs are served. Delfina Velasquez, a NeighborWorks Waco Board Member and Volunteer at the Temple and Waco locations this year, stated that ” several participants voiced that they have attended workshops at all three locations.” We are excited to know that participants want to keep coming back year after year to learn more about how to keep maintaining and improving their homes. With the addition of a third location, Hammers & Heels involved 232 families this year. The number of families and homeowners benefiting from Hammers & Heels keeps growing substantially each year – more than doubling the number of families who stopped by to learn last year! We hope the success continues to grow this coming year – more stations, more locations, more families, and more fun!